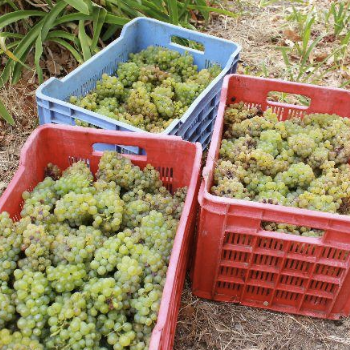 Chenin Blanc from South Africa is approaching a “tipping point”, according to one of the variety’s biggest pioneers, Ken Forrester. The most recent figures from 2010 show that Chenin represents 18% of South Africa’s total hectares under vine, compared to the 10% share for Sauvignon Blanc and 8% share for Chardonnay. However, while these latter two varieties have seen their proportions more than double since 1990, plantings of Chenin almost halved in that time, as many winemakers put their faith in more widely available international grapes. However, Forrester, who is also head of the Chenin Blanc Association, is convinced of a reversal in the variety’s fortunes. “More producers are planting Chenin and making serious wine,” he confirmed. This view of a resurgence was supported by Pieter du Toit, marketing manager for Cederberg. With the winery’s production neatly balanced between Sauvignon and Chenin, du Toit confirmed a recent shift in fashion towards the latter. To prove this point, Forrester recently held a 10 year vertical tasting of his FMC wine in South Africa, followed by a five year version in the UK. A more detailed report on developments within South Africa’s premium white wines will appear in the March issue ofthe drinks business. This entry was posted on February 27, 2012 by The Oenophiliac in News. and tagged cederberg, chenin blanc, grape variety, natural acidity, swartland, trendies.